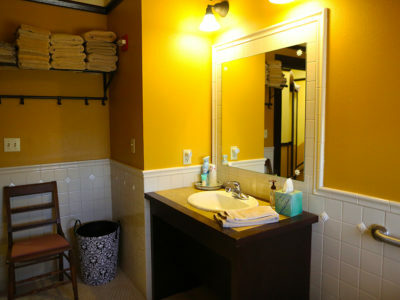 The Navajo Room is handsome and spacious, with a rail-yard view and hallway bathroom. 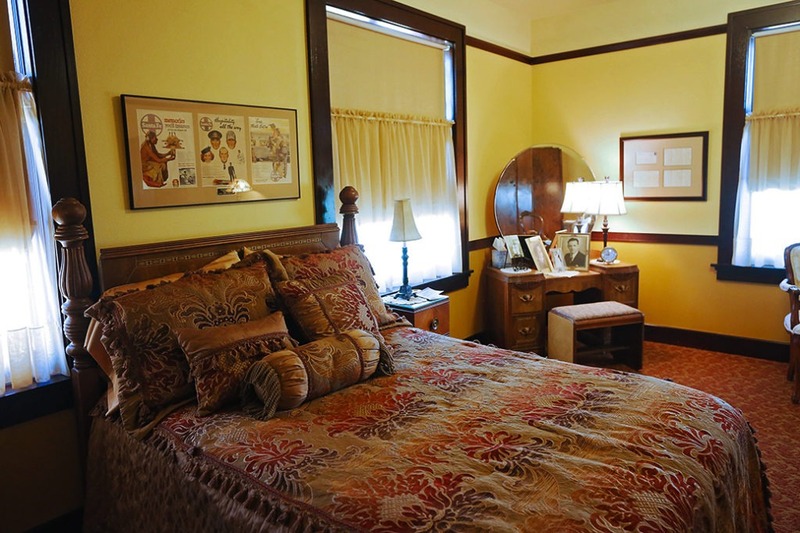 It has a full size bed with matching antique vanity, chest, desk, and armoire. 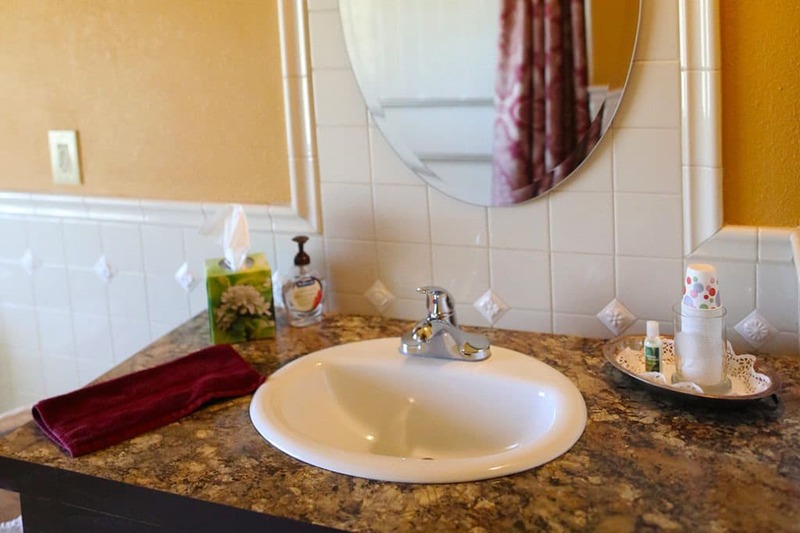 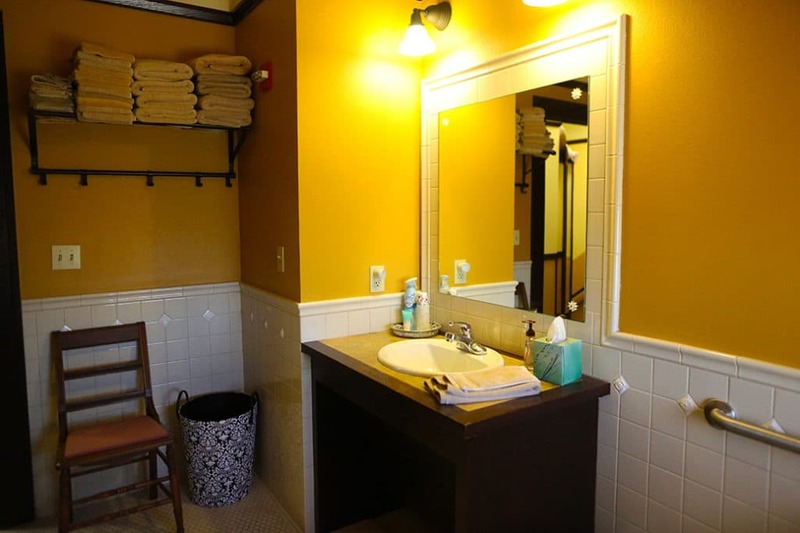 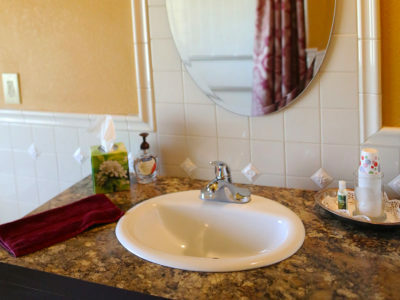 The full hallway bathroom is private, handicap accessible, and assigned to the Navajo Room. 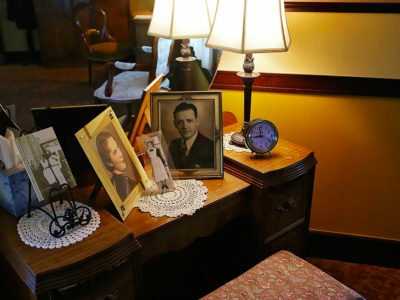 It was furnished and decorated by the Privett Family, in memory of George W. Privett-Slaton Railway Conductor 1942-1976. 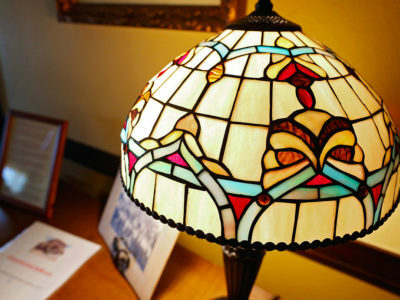 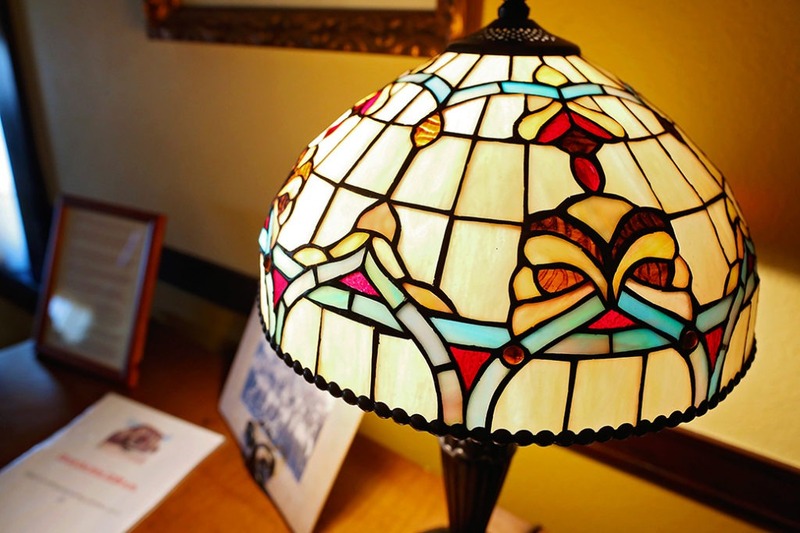 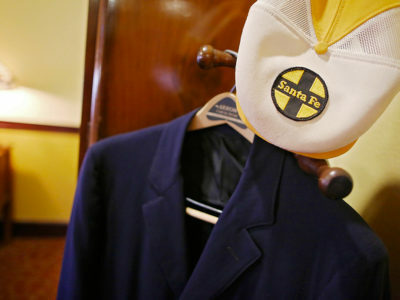 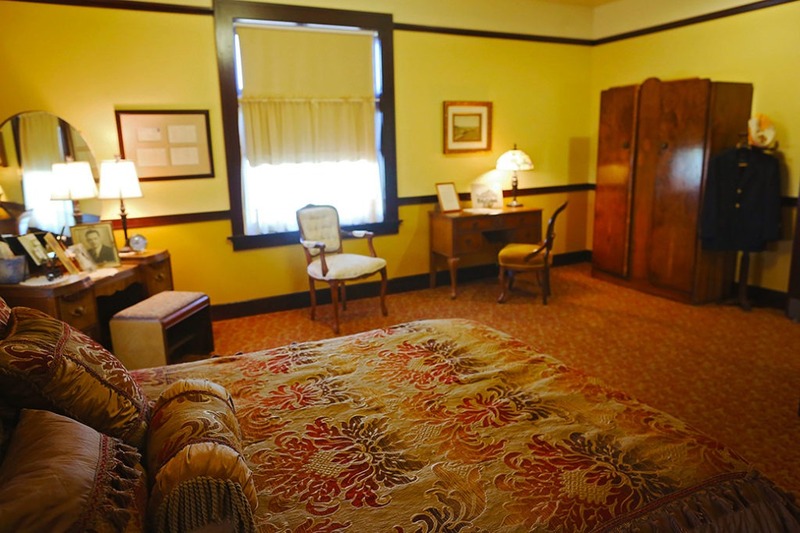 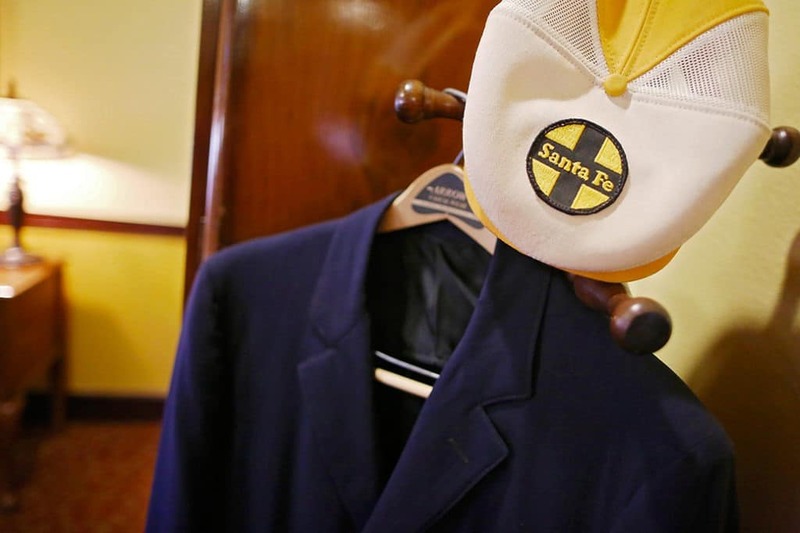 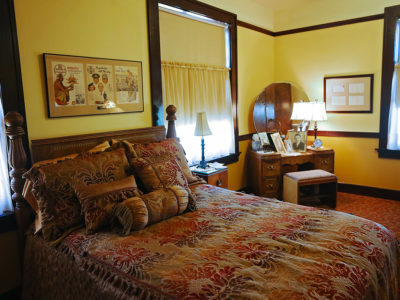 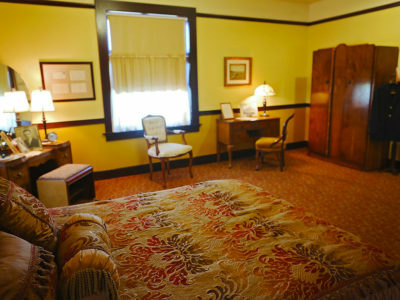 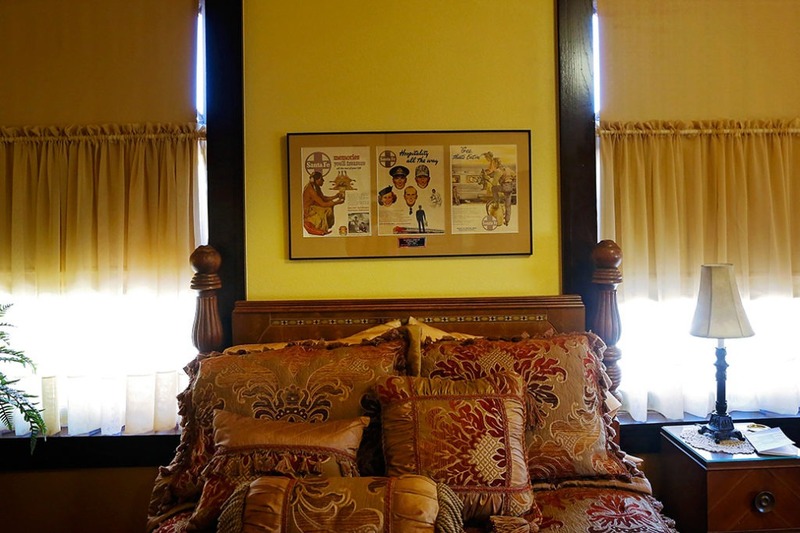 The furnishings were originally owned by the Garland Family and Eblen Family. 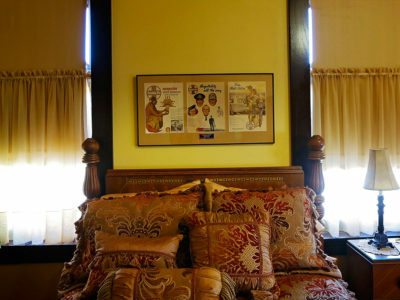 This room was Slaton Harvey Girl Rose Farschon’s room.